Therapeutic massage can produce lasting, positive change for a more fulfilling and balanced life. Everyone has the right to a healthy life, but many people live with chronic pain and stress that keeps them from getting the most out of their lives. Stress, injury, illness and repetitive physical movements can disrupt the body's natural balance and cause chronic pain and tension that can, in turn, negatively affect many aspects of your life. I believe a holistic approach to bodywork can restore health most effectively. When the body is approached with respect for its current state is most likely to relax and repair. My massage techniques access both superficial structures (like skin and muscle) and deeper structures (like organs and joints) and may be felt very deep in the body with out using excessive force. I use a variety of medical massage techniques, including John Barnes' myofascial release and targeted muscle relaxation and stretching, which can be combined and tailored to provide the best massage for your individual needs. 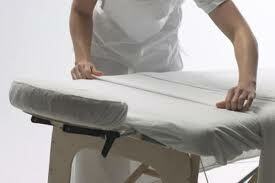 Professional massage is beneficial for people of all ages and activity levels. Therapeutic massage can successfully reduce or eliminate pain from many soft tissue conditions including headaches, plantar fasciitis, sciatica, tendonitis, TMJ disorder, whiplash, thoracic outlet syndrome, and carpal tunnel syndrome. Discomfort from surgical or injury scar tissue can also be greatly reduced with myofascial release. Read more about how massage works to eliminates discomfort and enhances health. Relaxation is not a luxury. It is a necessary, therapeutic state for healing and health. Massage creates a regenerative state, making it a valuable part of your healthcare. 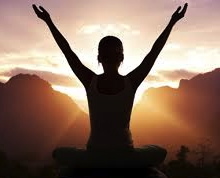 Holistic bodywork is an investment in increasing the quality of your life physically, mentally and emotionally. Read more about my practice in bodywork and please contact me with questions or to make an appointment.